The Metropolitan Museum of Art or simply known as “The Met”, is located in New York City and is the largest art museum in the United States. The Met was founded in 1870 by a group of American citizens including businessmen, financiers as well as leading artists and thinkers of the day. 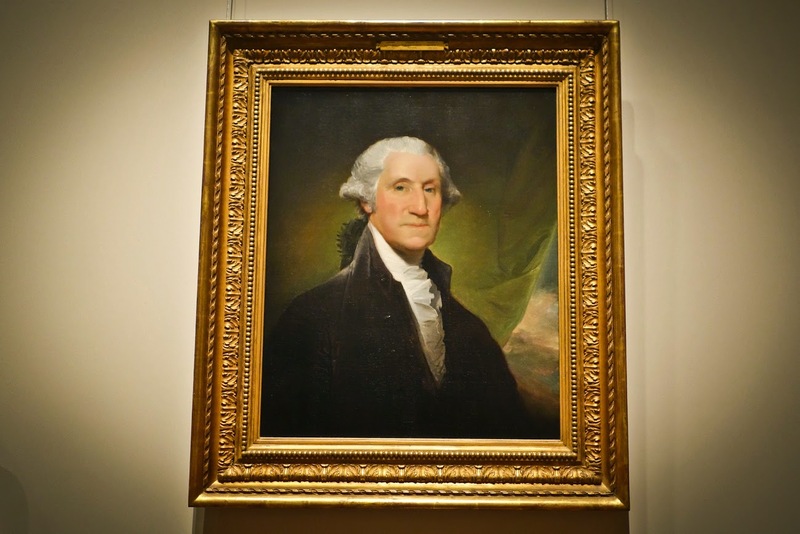 These initial founders hoped to open a museum to bring art and art education to the American peoples. Its permanent collection contains more than two million works. Seventeen curatorial departments study, exhibit, and care for the objects in the Museum's collection. The main building, located on the eastern edge of Central Park along Manhattan's Museum Mile, is by area one of the world's largest art galleries. There is also a much smaller second location at "The Cloisters" in Upper Manhattan that features medieval art. One could spend endless hours at the Museum! However, I only had four of them so I had to be selective in which galleries I visited (so much art and so little time!). Yummmm NYC hot dogs and art! As a first time visitor, I was initially surprised at the absence of an entry line into the museum. Unlike the Louvre (which I have often heard the Met compared to) there wasn't a stream of people waiting to get inside of the museum and we could literally walk right in! I was also surprised to learn that the museum was open seven days a week (10-5pm Thursday-Sunday and 10-9pm Friday-Saturday) and is FREE to the public! Yes people -- a fun cultural activity that doesn’t cost any money in New York City! ;) The museum does however recommend a $25.00 donation for adults (all members are free). Once you give your cash donation, you will receive an M sticker which serves as your entry ticket (the museum just shed their use of metal admission tags which have been used since 1971). You are advised to wear this M sticker throughout your visit. 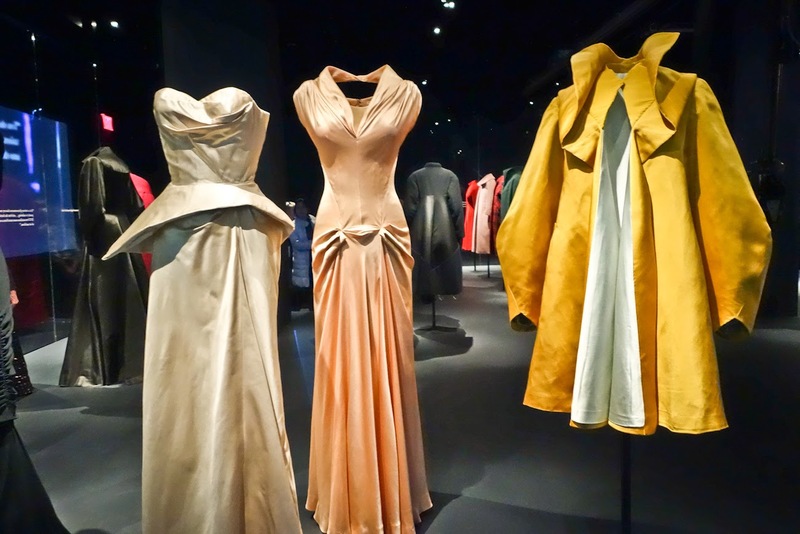 The first gallery we had to check out was the newly renovated Costume Institute which had on exhibit the beautiful collection of legendary twentieth-century Anglo-American couturier Charles James (1906–1978). 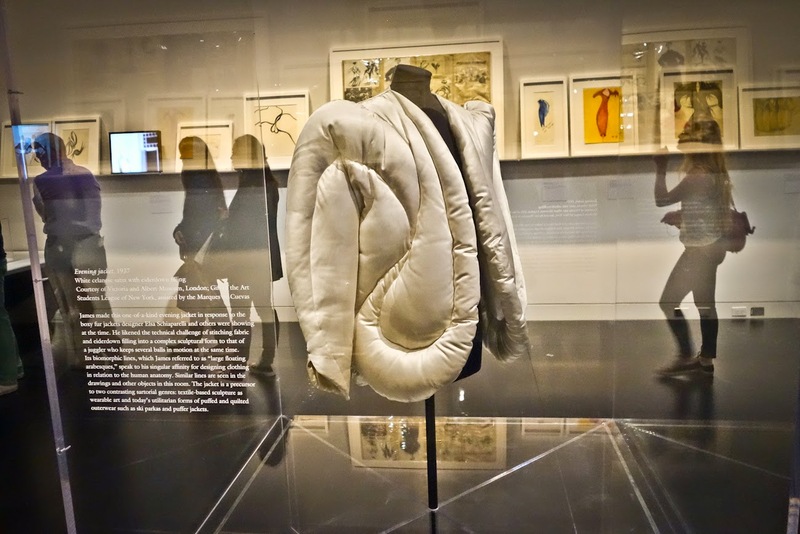 The exhibition is presented in two locations—special exhibition galleries on the Museum's first floor and The Costume Institute's Anna Wintour Costume Center on the ground floor. 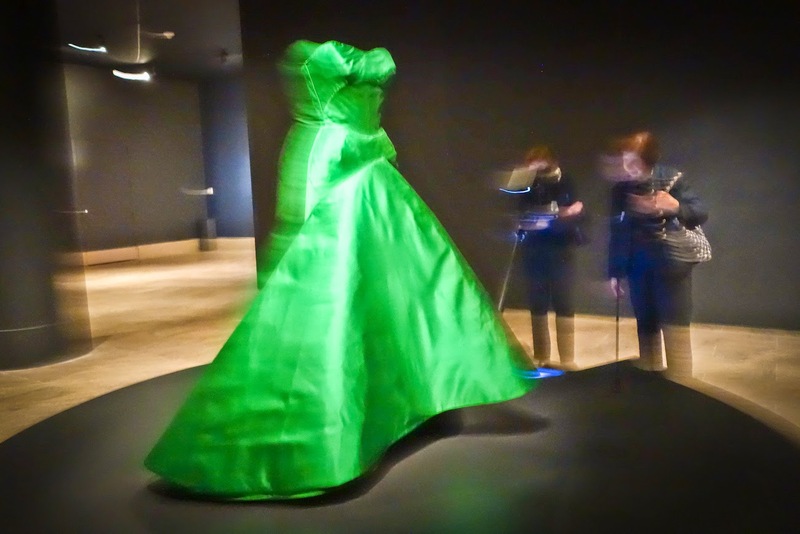 The exhibition explores the Charles James's design process, specifically his use of sculptural, scientific, and mathematical approaches to construct revolutionary ball gowns and innovative tailoring that continue to influence designers today. 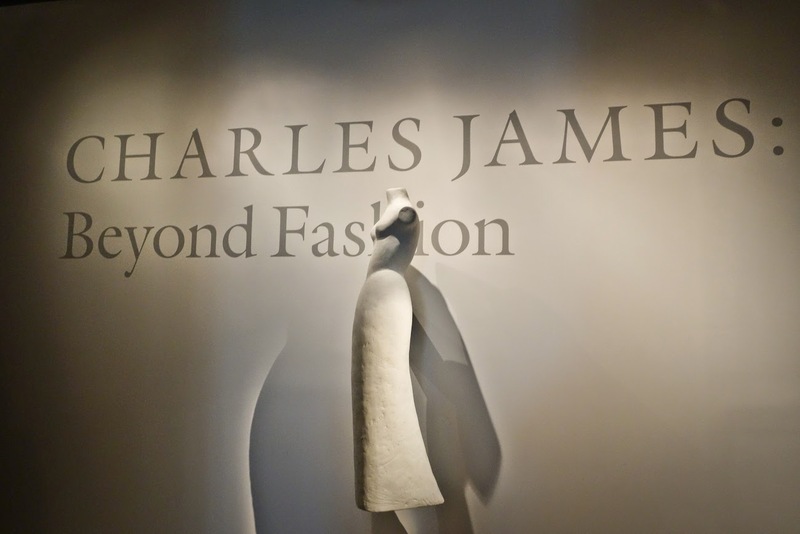 The retrospective features approximately sixty-five of the most notable designs James produced over the course of his career, from the 1920s until his death in 1978. 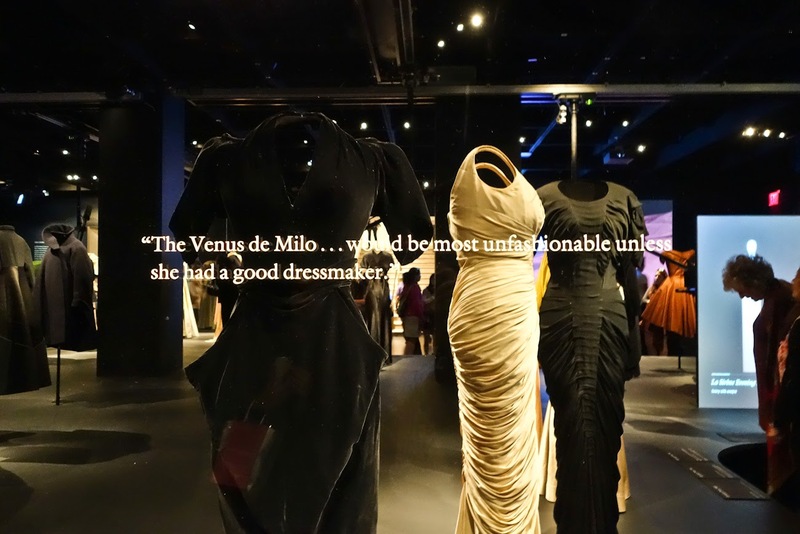 For the Couturier designer (or for anyone who appreciates beautifully engineered things) this exhibition is a must see. 1954, Ball Gown. Emerald green silk satin. As a result of being away from France for nearly a month, I had to sweeten my visual palate and take in some gilded baroque. We made our way to the European Sculpture and Decorative Arts wing. The museum’s collection of European sculpture and decorative arts reflect the development of a number of art forms in Western European countries from the early fifteenth through the early twentieth century. What the museum possess is impressive. The holdings include sculpture in many sizes and media, woodwork and furniture, ceramics and glass, metalwork and jewelry, horological and mathematical instruments, and tapestries and textiles. The curators did an amazing job of laying out the decorative arts and re-creating salons, dining rooms and writing rooms. Because I was in the largest museum in the Unites States, I thought it only fitting to follow my patriotic heart to the American Wing. Ever since its establishment in 1870 the Museum has acquired important examples of American Art. Gallery 753, George Washington. Gilbert Stuart, 1795. Oil on Canvas. 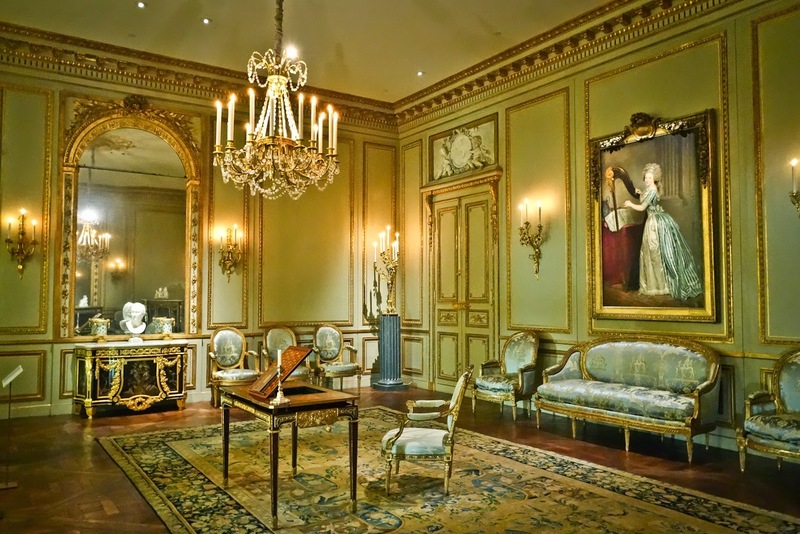 The American Wing houses some seventeen thousand works of fine and decorative art. Monumental sculpture, stained glass, and architectural elements are installed in the Charles Engelhard Court; decorative art objects of silver, gold, glass, and ceramics on the courtyard balconies. The story of American domestic architecture and furnishings, 1680–1915, is told in twenty historic interiors or period rooms. American paintings, beginning with colonial portraits and ending with the early twentieth-century Ash Can School, occupy their own suite of galleries. 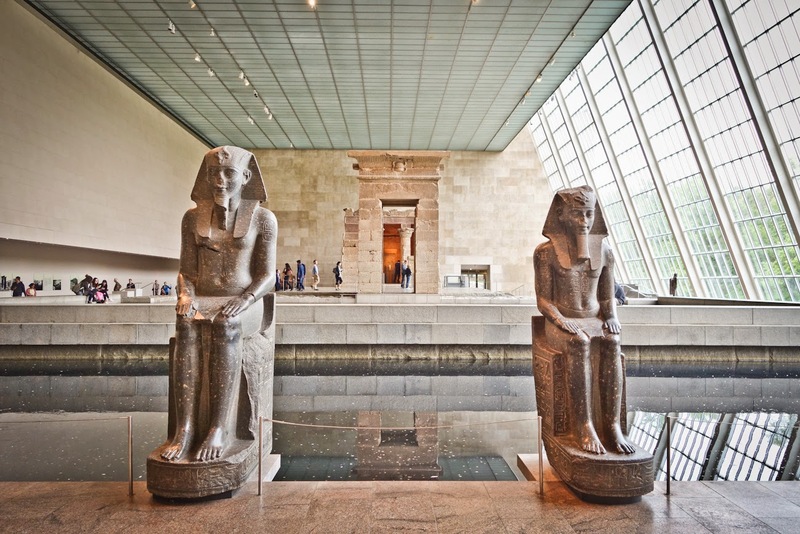 As I spend a majority of my days in the Egyptian galleries at the Louvre Museum, I could not leave the Met without exploring the museums Egyptian Art. The Met has an astounding collection that Napoleon himself would envy. The collection of ancient Egyptian art consists of approximately twenty-six thousand objects of artistic, historical, and cultural importance, dating from the Paleolithic to the Roman period (ca. 300,000 B.C.–A.D. 4th century). More than half of the collection is derived from the Museum's thirty-five years of archaeological work in Egypt, initiated in 1906 in response to increasing Western interest in the culture of ancient Egypt. Of course I had to visit one of the most popular rooms in the in the Egyptian galleries, the Temple of Dendur in The Sackler Wing. 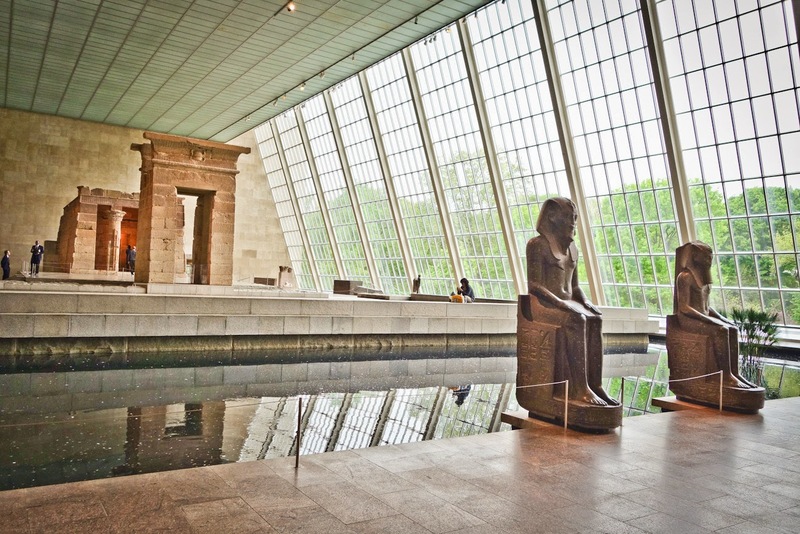 Temple of Dendur in The Sackler Wing. I wanted to visit the Tempe of Dendur in the Sackler Wing for its historical significance (the temple was built about 15 B.C. by the Roman emperor Augustus, who had succeeded Cleopatra VII, the last of the Ptolemaic rulers of Egypt, the temple was dedicated to the great goddess Isis and to two sons of a local Nubian ruler who had aided the Romans in their wars with the queen of Meroe to the south), BUT I also HAD to visit because one of my favorite cinematic images takes places in this room (When Harry Met Sally, 1989). Yes, I am guilty of being a film induced tourist! After spending a few hours inside the museum, my sister and I thought we should get some fresh air and head up to the roof garden on top of the museum. 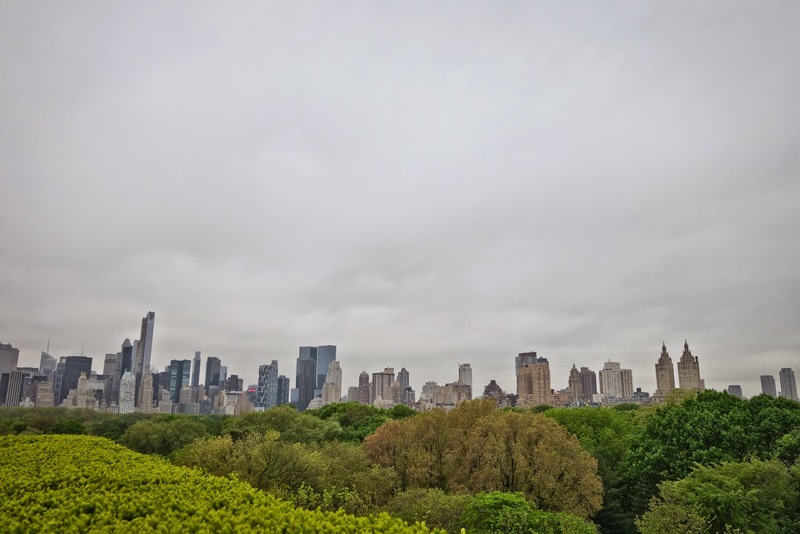 Perched high above the trees of New York City is an oasis of calm. There are chairs to take a load off, but most people choose to sit on the faux grass. 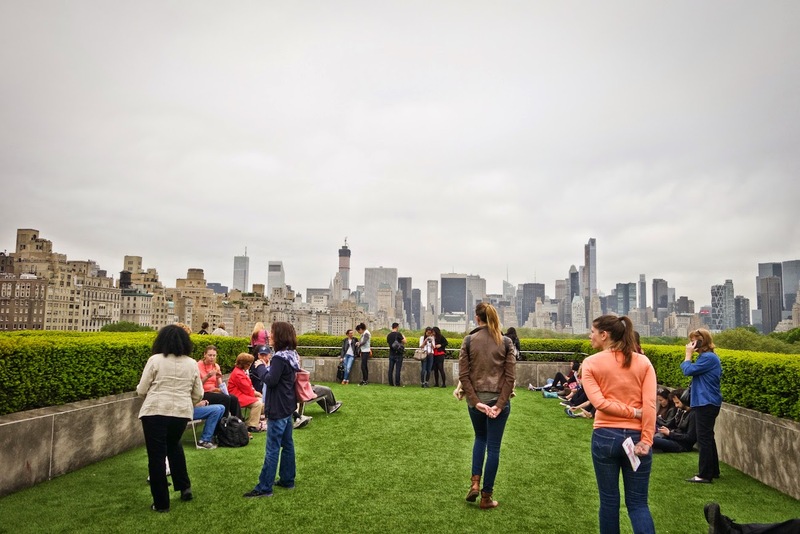 On the rooftop garden you will find more than faux grass and a killer panoramic view of NYC, as there is also a Zagat rated roof top garden café and martini bar. Open Sunday–Thursday: 10:00 a.m.–4:30 p.m. and Friday and Saturday: 10:00 a.m.–8:15 p.m. (Martini Bar opens at 5:30 p.m.). It’s a great place to refresh. If a rest is not what you are looking for, not to fret as there is an installation by artist Dan Graham. This installation is the second in a new series of site-specific commissions for the Museum's Roof Garden. Comprising curves of steel and two-way mirrored glass set between ivy hedgerows, Graham's structure is part garden maze, part modernist skyscraper facade. Viewers who enter the work are transformed into performers; in glimpsing their own reflections, they are also made acutely aware of the act of looking. The rooftop garden is located on the Fifth floor via the elevator in the European Sculpture and Decorative Arts galleries. 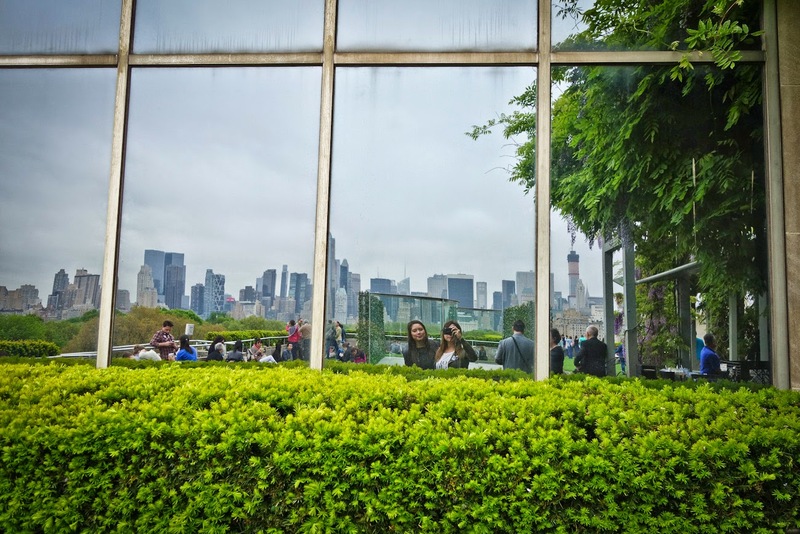 Dan Graham installation & New York City skyline in the reflection (not to mention two hot babes ;)! Although I have spent almost 10 years working in museums, that fact doesn't take away from the excitement of visiting a museum bookstore/gift shop. I love them! The Met has an enormous gift store filled with all things “The Met” as well as paintings, prints, books etc. 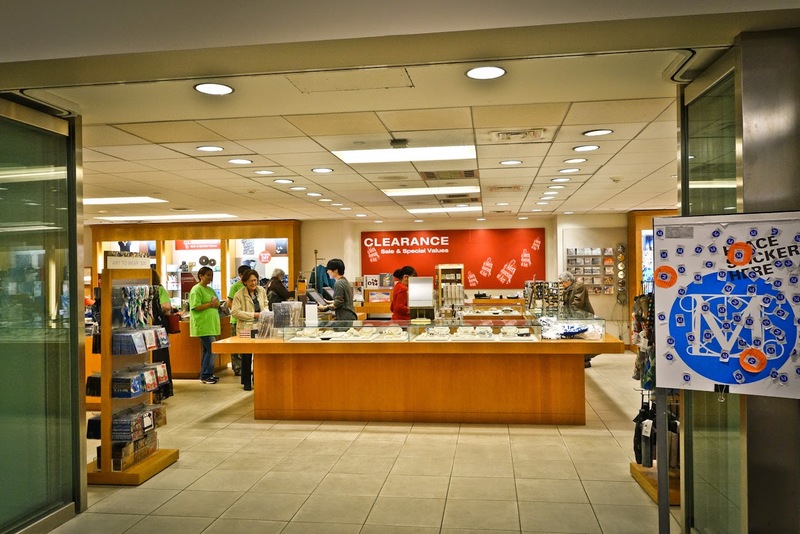 As I love a good deal, I was thrilled to find a clearance museum store separate from the main gift shop! Located on the ground floor near the coat check and the school group entrance is a smaller museum shop with items ranging from 30-50 percent off. 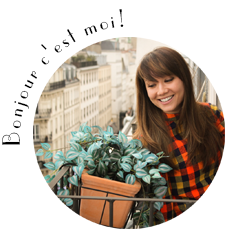 There you can find books, jewelry, scarves and more! 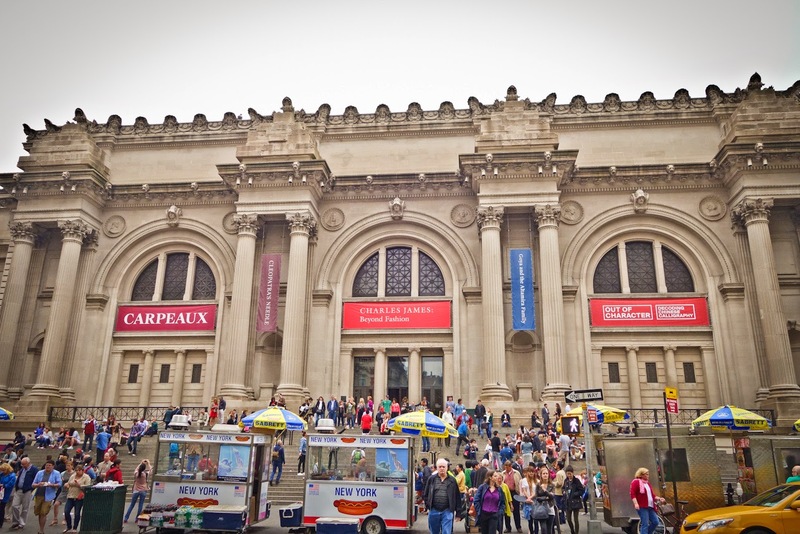 If you are a member to the Met, you get an additional 10% off. I definitely picked up a few keepsakes after a very satisfying day in the Metropolitan Museum of Art. The clearance jewelry is not only beautiful but a great bargain to boot! New York, New York - Have fun being a tourist! The Paris of North America: Montreal!